.htaccess file is an acronym for Hypertext Access. It is a configuration file used by Apache-based web servers that control the directory. These .htaccess files can be used to alter the configuration of the Apache Web Server software to enable or disable additional functionality and features that the Apache Web Server software has to offer. If you are using any CMS (Drupal, Joomla, WordPress or Blogger) then you might have definitely seen .htaccess file and wondered what exactly this do or what is wordpress htaccess file location. 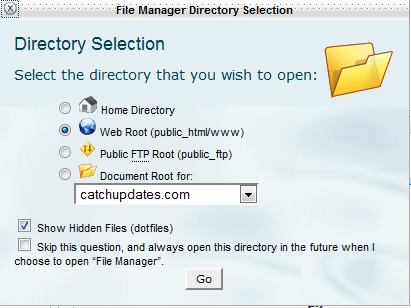 It can be found in cPanel under Web Root folder (.htaccess file can be hidden, while opening check ‘Show hidden files’). Note: Make sure you are keeping a backup of the previous .htaccess file before making ay changes. .htaccess file additionally allows you to create custom error pages for your site. Most common error is ‘Error 404 : Page Not Found’ when a link is broken and cannot be found. To make a page look friendlier and to provide more information to the site visitor you can use the .htaccess file to create custom error pages. Design an error page that you want to showcase whenever your blog gets Page Not Found error and provide its location in the .htaccess file. Sometimes our site features some application files but our server is not set up to deliver those files. In this case, we need to add MIME types to your Apache server in the .htaccess file with the following code. Got any questions? Feel free to contact. Also, share your views or strategies that you use to secure your blog. What are some of the greatest prominent/ideal weblogs relating to mobile telephones and wi-fi tech?